Your hard work feeds us, and in return, we feed and protect you. No, that is not a line from President Obama's next State of the Union. It is a quote from President Snow, the villain of the popular book and movie series The Hunger Games. 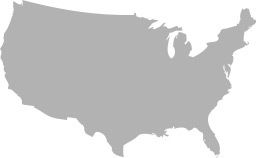 The Hunger Games takes place in a future North America where America has been divided into 12 "districts," ruled over by Panem, the Capitol City. Panem maintains an authoritarian rule over the other districts, which are kept in poverty while the ruling classes live in Roman-like splendor and decadence. As punishment for an attempted rebellion, the districts must each year send two "tributes" between the ages of 12 and 18 to the Hunger Games, a fight to the death. The series explores how one tribute, Katniss Evergreen, not only wins The Hunger Games against the wishes of President Snow, but goes on to lead a rebellion against the Panem. "Ours is an elegant system conceived to nourish and protect. Your districts are the body, the Capitol is the heart. Your hard work feeds us, and in return, we feed and protect you. But if you resist the system, you starve yourself. If you fight against it, it is you who will bleed. I know you will stand with me, with us, with all of us, together as one. Panem today. Panem tomorrow. Panem forever." The popularity of The Hunger Games is more proof that the ideas of liberty are impacting popular culture.